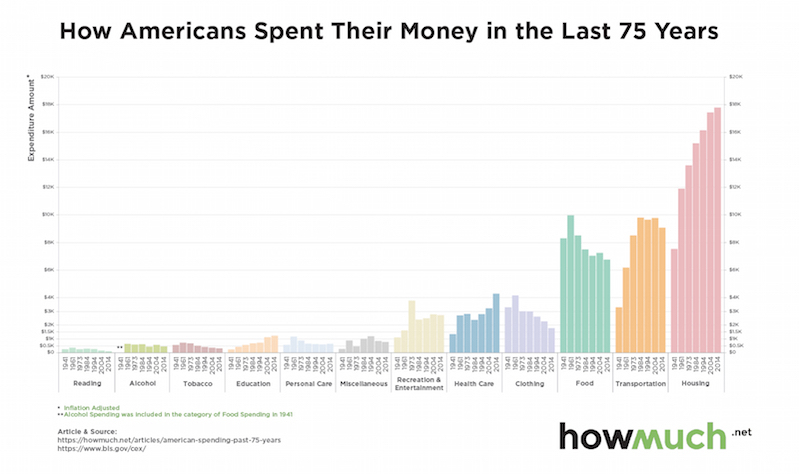 Compared to 75 years ago, Americans spend less on reading, alcohol, tobacco, clothing, and food. They spend more on education, entertainment, and transportation, but the real bank-breaker is how much more Americans spend on housing, even adjusted for inflation. According to Howmuch.net, "The data were collected from the Bureau of Labor Statistics. The data is adjusted for inflation and measures median spending of all Americans."